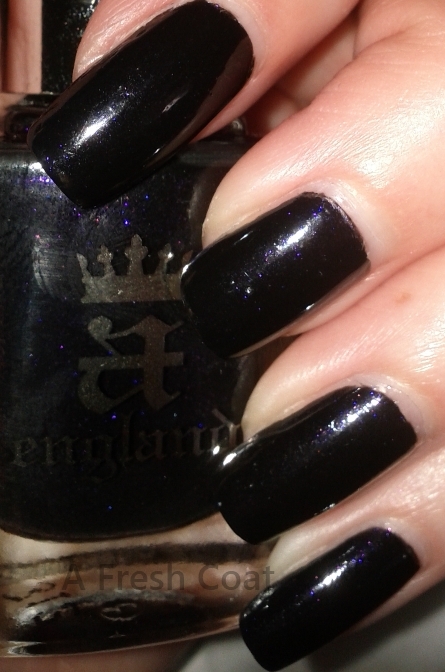 This is the first A England polish I have tried. The bottle is smaller than a typical bottle of polish as it only holds 11ml. Normally polish bottles hold 14ml or 15ml. This polish was really easy to apply and has a slightly smaller brush than normal. This can be a very good thing though because you have better control when applying the polish. One coat was all it took to obtain the coverage you see in the pictures along with a top coat of Seche Vite. 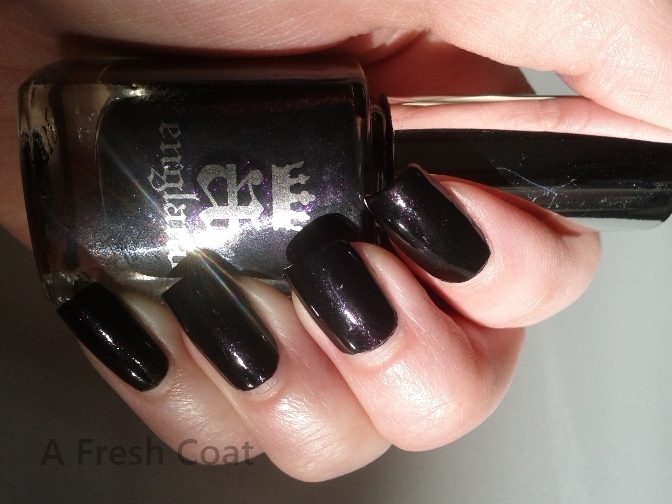 My only complaint is that it is very hard to see the beautiful deep purple as the polish looks black most of the time. When you catch it right in the sun it has a beautiful deep purple sparkle to it. Unfortunately most people will miss this. However, I still love this polish and will be purchasing more A England polishes in the future.